Cloud computing firm UKFast has moved to combat spiralling graduate debt by creating a £1m fund to help pay off student loans for new recruits joining its graduate scheme. 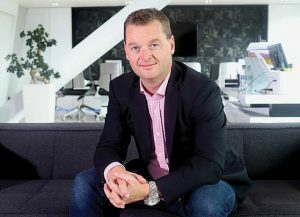 CEO Lawrence Jones has announced the fund as the Manchester-based company plans to take on 500 graduates over the next five years. New recruits to the scheme will have the opportunity to have £2,000 paid off their student loan in the first two years of employment. Jones said: “As part of our commitment to demonstrate our long-term belief in the graduates we want to team up with, (co-founder) Gail and I created a £1 million fund to pay towards the rising debts that students leave university with. "We’re focussed on creating the leaders of the future by investing in their continuous development and this is just a small part of that. It's our way of demonstrating that we believe in them as much as they believe in us when they choose to work at UKFast." He added: "The current trajectory we are on requires us to expand the workforce significantly and we are hugely impressed with the quality of candidates applying since launching the scheme last week. After hearing every single student cite their debt as their biggest concern, we decided to do something about it." UKFast’s workforce has tripled since moving to its current campus - located on the edge of Manchester Science Park - three years ago, with the firm now employing more than 350 people. UKFast recently announced £17.6m EBITDA on turnover of £40m in 2016, with a run rate of over £45m.